New BOGO deal of the day – December birthstones! Okay, I should correct that – it’s December birthstone *color* glass jewels that are on sale. 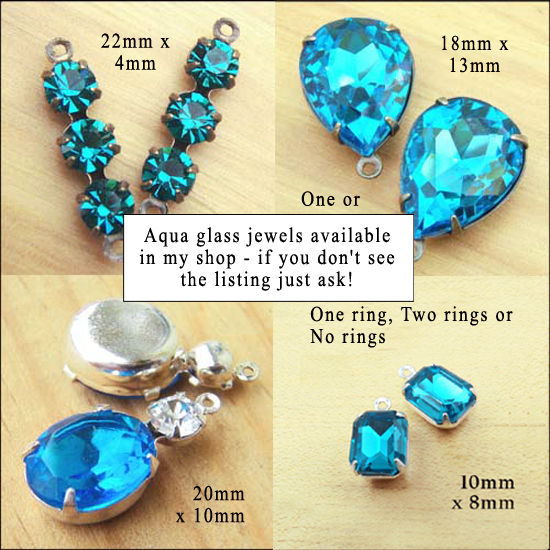 I don’t have any precious tanzanite or zircon in my shop – but I’ve got some wonderful blue zircon, aqua, and turquoise glass cabochons and jewels available. They’re lovely, and affordable, and they are now on a BOGO sale! Wonderful for Christmas gifts – personalized jewelry for your customers – or a pretty pair of earrings for yourself. Just mention this BOGO offer when you order, and get your second pair of jewels free!